WORK BY Yoko Ono will be displayed as part of the 2017 TULCA Festival of Visual Art and this year's title - They Call Us The Screamers - is apt as Arthur Janov's primal scream therapy has connections to both Ono and the west of Ireland. The festival, now in it's 15th year, runs from November 3 to 19 at various locations around Galway, and will be curated by Matt Packer, director of the Centre of Contemporary Art Derry. It also features work by Bob Quinn, alongside younger emerging artists like Kian Benson Bailes and Oisin Byrne. From its beginnings in a leftist London commune in the 1970s, to its becoming a controversial source of fascination in 1970s Ireland, 'The Screamers' were advocates of Janov's primal therapy. 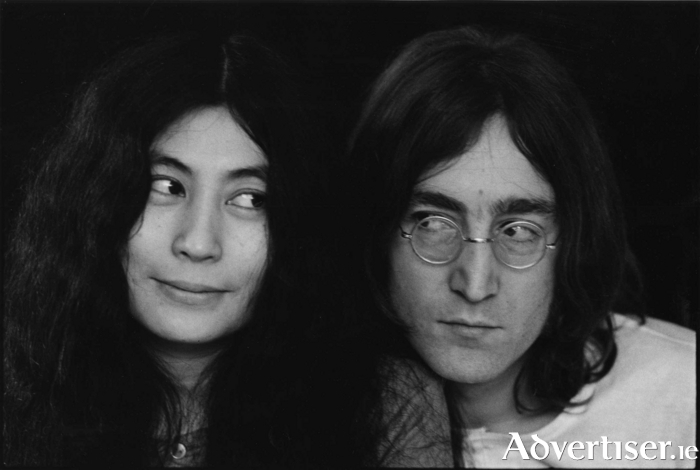 Yoko Ono and John Lennon also underwent primal therapy and the results were heard on their 1970 albums, both called Plastic Ono Band. They Call Us The Screamers takes its title from a book written by Jenny James, which details the history of Atlantis, the radical primal-therapy commune which she established in Ireland in the 1970s. The book recounts their arrival in Ireland, the aspirational life of the commune, and public notoriety that followed. They were nicknamed ‘The Screamers’ in a 1976 Sunday World article. TULCA will feature Bob Quinn’s The Family (1979 ) – a documentary on Atlantis banned by RTÉ, which deemed it too disturbing for Irish audiences at the time. Other exhibiting artists at TULCA are Fabienne Audeoud, Sam Basu and Liz Murray, David Beattie, Ciarán Ó Dochartaigh, Vicky Langan and Maximilian Le Cain, Liz Magic Laser, McGibbon O'Lynn, Yvette Monahan, Plastique Fantastique, Richard Proffitt, Florian Roithmayr (with Meredith Monk ), Kaspar Oppen Samuelsen and Marie-Louise Vittrup Andersen, and Lucy Stein.